I’ve been driving a car since I was 17 years old. I honestly couldn’t be without one now. Our family all live a good few miles away which means that travelling by car is part of our lifestyle. Just because I’ve been driving years though it doesn’t mean that the roads are any safer. Accidents happen on British roads every single day. You can be driving perfectly but if someone else on the road is not you are in just as much danger. I’ve seen a fair few near misses or drivers that are being dangerous! That’s why more and more people are making use of and purchasing a Dash Cam. Last month we travelled four hours down to the south of England to visit family. We went straight after school so as you can imagine we hit a fair amount of rush hour traffic. Of course, there had been an accident on one of the roads so traffic was flowing far slower than anyone would like. There was one car in particular that was dodging in and out of lanes and almost causing an accident himself. It was clear he was in a hurry but none of us had any desire to sit for hours either. His efforts were pointless there was nowhere for him to go and he was made to sit and wait with the rest of us. Some time passed and eventually the traffic began to trickle forward again and we were off on our journey. The same driver that had been driving dangerously before was now bumper to bumper with the cars in front trying to get them to go faster or move out of the way. He had no regard for anyone else’s safety or even his own. He suddenly swerved into the middle lane to undertake and had to slam on his breaks causing everyone else in that lane to break hard or swerve out of the way. We were two cars behind and if Ollie my husband hadn’t been fast on the breaks we would have collided with the car in front. I took the number plate and description of the car and gave the information to the police. The police asked me if I had any evidence of the dangerous driving or a Dash Cam. This really got me thinking about the safety of my family when we are on the road. We were all in that car – my husband, five-year-old and both of our dogs. 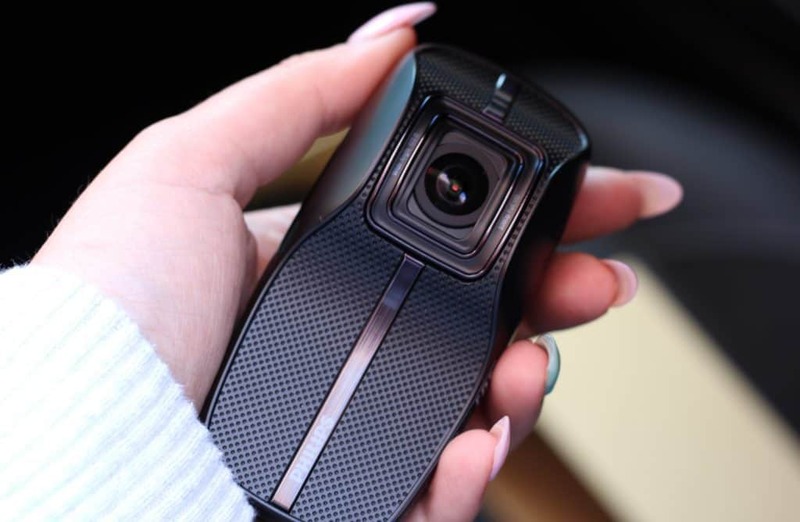 A Dash Cam won’t prevent an accident from happening but it means that if ever you are witness to dangerous driving or heaven forbid in an accident you have all the proof you need. Since we got home we have been putting The Philips ADR 810 Dash Cam through its paces! The Philips ADR 810 Dash Cam has a nice modern design that is compact and light weight. It’s not a massive eyesore or a distraction when driving. The camera fits in the interior of the car and automatically records with a time and date stamp. It’s easy to install and there is no fitting of wires or need to take the whole car apart. It has a sharp and detailed 1080p full HD camera working during the day and even at night when it’s dark there is an optimised night view. The lens is wide angled so it captures a good amount of the road so there is no risk that you won’t capture every second that you need it to. The Phillips ADR Dash Cam comes with everything you need all you have to add is a Class 10 MicroSD card and you are ready to record. I liked how easy and simple the Dash Cam was to install. It’s not heavy, flashy or distracting which means that you don’t even notice it when driving. I had always been put off a dash cam because I was worried it would mean wiring the unit in to my actual car and that would be expensive and a lot of hassle. 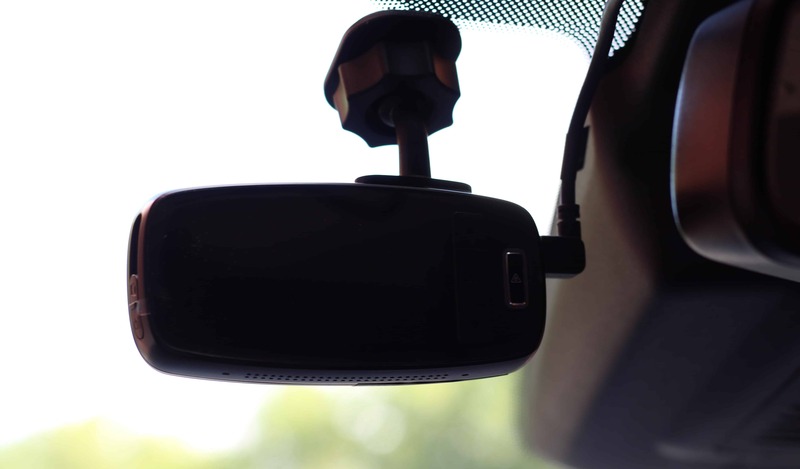 The Phillips ADR Dash Cam simply attaches to the mount where you choose. Driving with the dash cam gives me added piece of mind and puts me at ease whilst on the road. There are a lot of people driving dangerously and I am more comfortable knowing that I have the dash cam with me. Watching back the footage isn’t complicated in anyway and the whole device is easy to use. The footage it captures is sharp and clear meaning that there is no room for dispute if ever you needed to use the footage. The dash cam is £139.99 and can be purchased from Drive Safe and Legal here. Do you have a dash cam? Is it something you have ever considered? 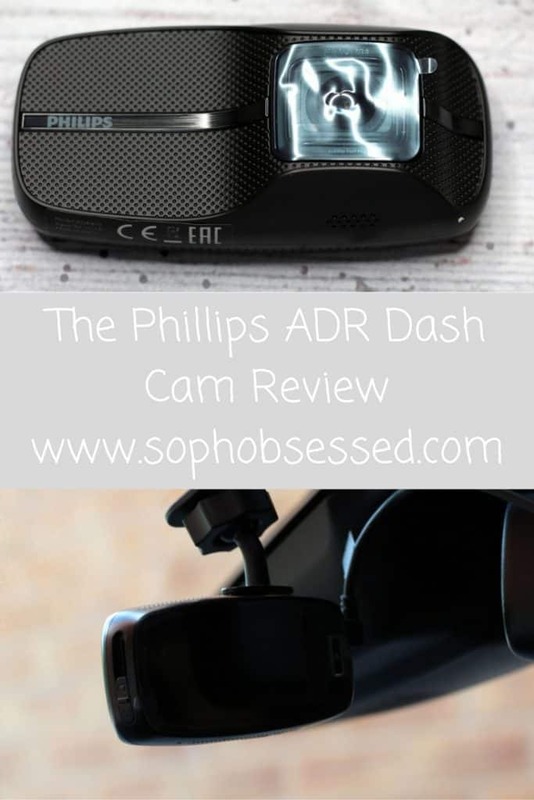 *I received The Phillips ADR Dash Cam on a gifting basis in return for an honest review. As always all words, opinions and views are my own. For more information on any of this please head over to this page.